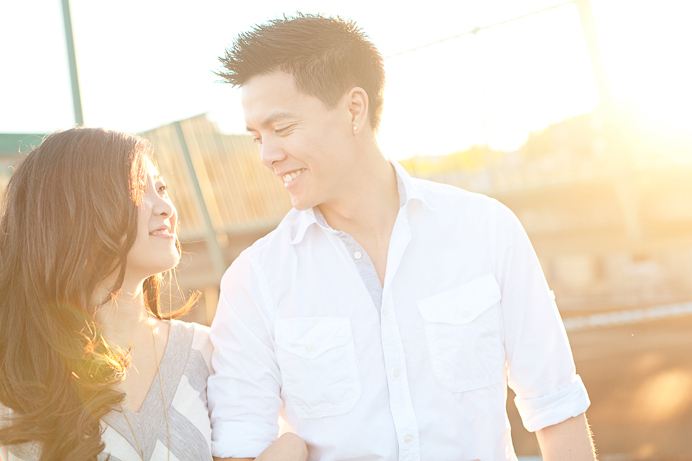 For Kathy and Jeff’s engagement session, we met in downtown New Westminster on a sunny evening in July. I’ve always loved New Westminster for it’s ol’ world architecture and its tranquil vintage urban charm. The street were quiet that day; in a place that felt forgotten, almost abandoned except for the few lonely locals who came to admire the iron bridges and tug boats that work that section of the Fraser River. 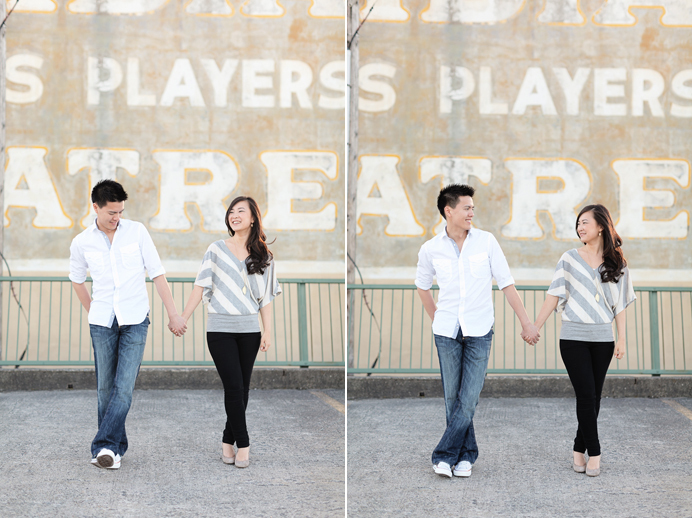 Kathy and Jeff are a beautiful couple; they made the grimy buildings and street radiate, bringing youth and life to an otherwise old and forgotten part of town. They came ready with their modern looks, funky charm, and a willingness to do just about anything for a great photograph. However, we kept things simple and I just let them show off their relationship as natural as possible. I also got a few great shots of them with their Shiba Inu, ‘Kuma’ as well. We created a lot of photos at the session, too many to post, so these are just a handful. Previous Post Previous post:Facebook “Like” button broken? These pictures are amazing and you’re so talented! I would love to have you at my wedding when I get to that point in life! You’ve captured their true selves in the candid shots. These photos are beautiful! I cant wait to see more at the wedding! 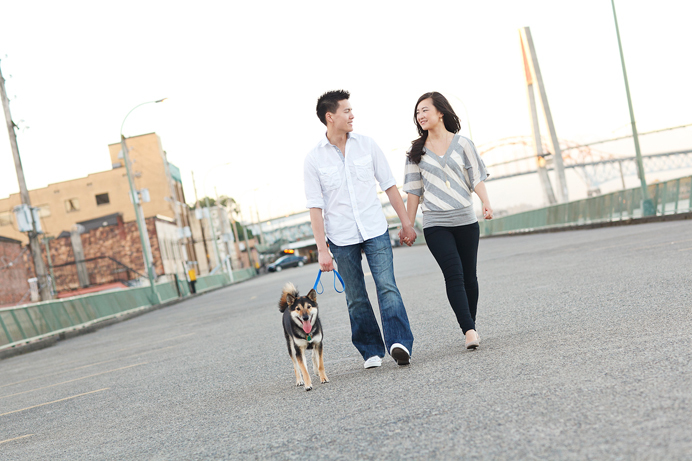 love the kuma walking with you two! Gorgeous! These pics are so beautiful. I like how you incorporated Kuma into a picture. Beautiful! These photos are so nice, you guys look great! Such beautiful moments you’ve captured! I love the photos and can’t wait to see more! Ooooooo ahhhhhhh I likey!!!! Very beautiful!! Very nice. Love the light. Congrats u two!